Welcome to the 11th Annual Spousetivities events at VMworld US 2018! Welcome to the 11th Anniversary of Spousetivities at VMworld! If you've joined Spousetivities before, then you know all about the fun, prizes, friendships, and everything that comes with the program. If you've never joined Spousetivities, or if you aren't sure what Spousetivities is, then read on! You can also visit my Spousetivities blog for more information. Spousetivities has been bringing unity to the VMware community for over 10 years. This year is no different. All are welcome. Please don’t feel that Spousetivities means if you’re not married, your partner can’t come. He/She can absolutely join! If you’re bringing your parents, they are more than welcome! Worried about bringing kids? PLEASE! By attending Spoustivities, you get extra hands, which as parents, we can always use! This group that has formed over the years has welcomed everyone equally….men, women, children, all ages, backgrounds, beliefs, colors, sexual orientations, and languages. So register today and don't worry about anything but having a great time with others in Las Vegas! BONUS: You can request a translator if English is not your primary language! Easy! Just select the dates or dates that you want to participate in an activity, then click "more info" to read about each event. Once you've settled on the activities that best suit your interests, select the number of tickets you need and follow the instructions from there. There is an activity for each day of the event, August 28 - 31. 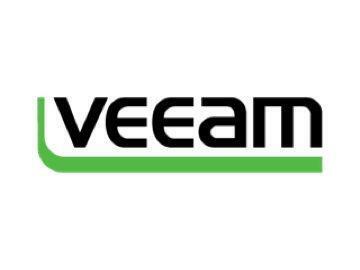 Prices have been reduced from the retail pricing thanks to the support of fabulous sponsors like Veeam and VMUG! Don't miss the cabana days at Mandalay Bay sponsored by ActualTech Media and Datrium!